(1) Julie Connolly – Julie has just been announced as lady ‘Golfer of the Year’ at Cahir Golf Club. (2) Freya Byrne – Twelve-year-old Freya won the Irish Canoe Slalom Junior Ladies C1 Flat Water Series for 2018. (3) Fethard Ladies U19 Gaelic Football Team – This team rounded off a great year for Fethard ladies by winning the county title beating Moyle Rovers in the final played in Littleton. (4) Galteemore Kickboxing Club – More success for this young club during November with two U8 winners in Jeyden Setters and Ryan Bradshaw; Silver medal for Anthony Barry in Shannon at U16 level; Nathan Costin and Shaun Mansell were adult winners in Shannon; and also the club had seven winners at a recent event in Waterford. 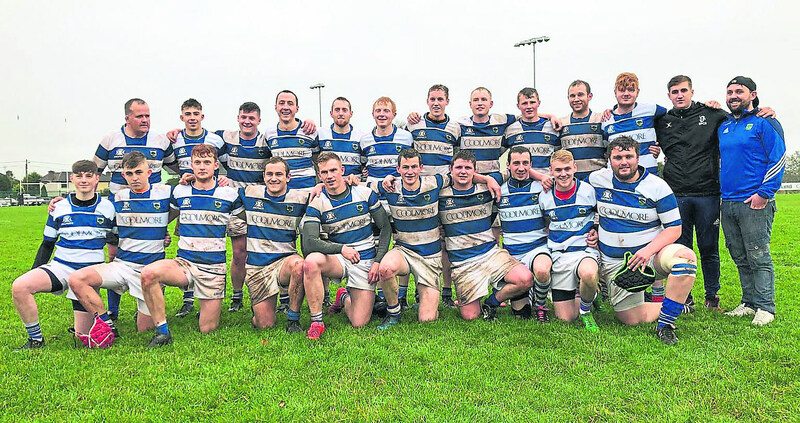 (5) Fethard Rugby Club Mens Firsts – Winners of three-in-a-row league games beating Cobh Pirates, Old Christians and Ballincollig. (6) Patrician Presentation Senior Boys Volleyball Team – This team has advanced to the All-Ireland semifinal stage by beating St. Michael’s Dublin and Glenstall Abbey Limerick. (7) Ryan Walsh – Winner of a Dean Ryan Cup medal with his school Thurles CBS, beating De La Salle college from Waterford in the final. (8) Matt Coen and Jack Quinlan – These two young hurlers played a pivotal role in helping the South Tipperary Under 13 team to regain the Peadar Cummins Cup for the first time in eight years. (9) Fethard Holy Trinity National School U13 Football Team – Winners of their sector in the Tipperary Primary Schools Competition by beating Borrisoleigh in the final. (10) Sami Laaksonen, Zack Smyth, Charlie Walsh and Noah O’Flynn – These four young soccer players from Fethard all played their first game for the South Tipperary Development Squad recently. The winner will be announced at a special presentation function in Butler’s Bar on tomorrow night (Friday) December 7. All are welcome.